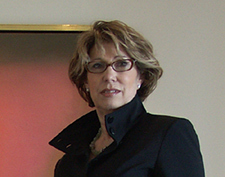 The Art Resource Group, founded in 1987 by Miriam L. Smith, provides expert guidance on fine art acquisitions, sales, appraisals, project design, public art exhibitions and estate matters. The Art Resource Group specializes in both emerging artists and the Masters, including paintings, sculptures, drawings, prints and photography. Ms. Smith assists the beginning collector, as well as the more sophisticated connoisseur, with her expertise, professional advice and knowledge of art history. Our contacts with leading scholars and international experts provide clients with an excellent choice of quality works of art from traditional to modern, at the best value. This enables our clients to acquire or sell works of art with confidence. Miriam Smith established the Art Resource Group company in 1987, after forming the corporate art division for James Lodge and Associates in 1982. She studied studio arts and art history at Art Center College of Design and Otis Parsons in Los Angeles. Ms. Smith is a Member of the Appraisers Association of America since 1997, and her primary expertise is in 19th and 20th Century paintings, drawings, works on paper and ethnographic art. Ms. Smith's knowledge and involvement in the art community is extensive and includes trusteeships on museum and nonprofit boards. In addition to professional membership in numerous art organizations, Miriam has conducted many lectures, tours and seminars on various art topics to the public sector, as well as the corporate communities. Miriam Smith is a member of ArtTable.